We had great plans once upon a time, didnÃ¢â‚¬â„¢t we? Grand hopes for the future. Remember that interview after the clinching game in 2010 when you said you loved Cincinnati?Ã‚Â We loved you, too, that night. You were our compassionate player manager, our feel good field general.Ã‚Â And weÃ¢â‚¬â„¢ll always have that glorious weekend in San Francisco. However, itÃ¢â‚¬â„¢s time to admit that this relationship just doesnÃ¢â‚¬â„¢t work anymore. ItÃ¢â‚¬â„¢s not you. ItÃ¢â‚¬â„¢s us. WeÃ¢â‚¬â„¢re young. WeÃ¢â‚¬â„¢re full of potential. And we simply need more than you can give us. LetÃ¢â‚¬â„¢s get the obvious out of the way. Rumor has it a new deal to keep Baker in Cincinnati is already in the works. ItÃ¢â‚¬â„¢s a well-known fact that the owner is a big fan of Johnny B. Baker. The Reds are a conservative baseball organization. They value relationships. They treat employees like family. So, Dusty Baker is likely coming back. I fear itÃ¢â‚¬â„¢s a mistake. The conventional wisdom says Dusty deserves to return.Ã‚Â 97 wins. Two Division Championships in three years. Conventional wisdom says players win games, not managers. And the players failed to get it done this week, right? And if the Reds were not to extend Baker, the front office would take a hit from the traditional media. The CW says you have to keep managers that pilot teams that win nearly 100 games. A manager can maximize a teamÃ¢â‚¬â„¢s strengths and minimize its weaknesses. Some feel that what plays out across a 162 game slog is not impacted by managerial moves in a significant way. Not me, but some. But, almost no one denies that game management has the potential to become a huge advantage or disadvantage during the playoffs, where the difference between winning and losing can be razor thin. Confession: IÃ¢â‚¬â„¢ve never been much for conventional wisdom. IÃ¢â‚¬â„¢ve never been much for giving too much credit to managers for won/loss records. Nor have I put much stock in playing pin the tail on the manager during losing seasons. I pay attention to game management because it’s the one thing I can see, can objectively evaluate. Hopefully. But it mostly comes down to the play on the field. Plenty of good managers have suffered with mediocre teams. And plenty of outstanding teams have succeeded with less than stellar game management (see, e.g., Ron Washington, 2011 World Series, Game 6). Records are overwhelmingly the product of players, yeah? Who provides a manager with those players? The Reds won 97 games this year because Walt Jocketty traded for Mat Latos. They won 97 games because the Reds GM signed Ryan Ludwick and extended the contract of Bronson Arroyo. It was Walt Jocketty who signed Aroldis Chapman and traded for Sean Marshall when Ryan Madson went down. Jocketty made the somewhat unpopular move to acquire Jonathan Broxton at the trading deadline. Without Walt JockettyÃ¢â‚¬â„¢s guidance, the farm system doesnÃ¢â‚¬â„¢t produce the very players that Dusty Baker appears to undervalue. I find that statement impossible to fathom. Can any team successfully chase championships when meritocracy isnÃ¢â‚¬â„¢t a core clubhouse value? If Alex Rodriguez, he of the gazillion dollar contract, could be sent to the bench for poor performance, couldnÃ¢â‚¬â„¢t Drew Stubbs or Scott Rolen sit for a player who by all accounts had transformed the clubhouse and the play of the team when he was finally called up from AAA Louisville in May?Ã‚Â When Joey went down, Todd Frazier became arguably one of the two most valuable players in the everyday lineup. Owner Castellini said that owning the Reds was a public trust, but by trading FrazierÃ¢â‚¬â„¢s considerable contributions for RolenÃ¢â‚¬â„¢s last chance, Baker effectively said forget that, team takes a back seat to Ã¢â‚¬Å“my guys.Ã¢â‚¬Â BakerÃ¢â‚¬â„¢s unspoken philosophy has always been My Relationship With My Players Trumps All. ItÃ¢â‚¬â„¢s made for great player-manager relationships. Players love Dusty Baker. You hear it all the time. Why wouldnÃ¢â‚¬â„¢t they? ItÃ¢â‚¬â„¢s not as if Baker didnÃ¢â‚¬â„¢t have options. He could have chosen to keep Rolen at third and put Frazier in right field. But as far back as September, Dusty rejected out of hand the thought of moving Jay Bruce to CF, even though heÃ¢â‚¬â„¢d capably played there years ago when Junior was moved to RF. In spite of overwhelming evidence that Drew Stubbs was not going to contribute to the teamÃ¢â‚¬â„¢s offense, his defense was deemed too valuable to bench. A fact Aaron Harang knows all too well. Game 3: with 2 outs and runners on second and third against Jonathan Broxton in the top of the 10th, Dusty chose not to walk Joaquin Arias even though that SINGLE act would have accomplished the following: (1) gotten the GiantsÃ¢â‚¬â„¢ closer out of the game, (2) brought a slower runner to the plate, (3) burned the GiantsÃ¢â‚¬â„¢ last player on the bench, and (4) forced Tim Lincecum to close, something he hadnÃ¢â‚¬â„¢t done in his career. Lincecum was left out of the rotation because he couldnÃ¢â‚¬â„¢t be counted on to throw strikes. How would that have played out in a tense bottom of the 10th?Ã‚Â WeÃ¢â‚¬â„¢ll never know. Dusty passed because as he said in the postgame press conference that he feared Hector Sanchez, a cold, backup catcher who had yet to appear in the series and the proud possessor of a .295 OBP. Yet, BakerÃ¢â‚¬â„¢s biggest failing may have been forgetting where his team was the mightiest. Game 4: I was a bit surprised immediately after Game 3 that I wasnÃ¢â‚¬â„¢t reading about the possibility of handing the ball to LeCure and J.J. Hoover and asking them to get the team to the fifth or sixth inning and turning it over to the back of the bullpen, but quickly discarded that idea, realizing that Leake, who started all season, would be a much better option. And if Leake didnÃ¢â‚¬â„¢t have it, the Reds surely wouldnÃ¢â‚¬â„¢t wait long, would they? With the best bullpen in the major leagues, why didnÃ¢â‚¬â„¢t Baker and his coaches leverage that advantage? There was no sense of immediacy in the way he managed the entire series in GABP, but it was probably the most pronounced here. Game 5: Baker stayed too long with Latos. It wasnÃ¢â‚¬â„¢t simply single-triple-groundout-error-walk-single-slam. Far more was going on around and inside Mat Latos.Ã‚Â The staff failed to address the psychology unfolding on the mound. After 4 scoreless innings, Mat began to unravel when home plate umpire Tom HallionÃ¢â‚¬â„¢s strike zone shrunk to the size of a music box. He sulked. He smirked. He pouted. He sarcastically grinned and shook his head as Price left the mound after a visit. At one point, Hallion went toward the mound to address Latos. After the error by Cozart, Latos, down on one knee, stayed there, looking as if he was feeling sorry for himself. He rose, but never threw a strike to the following batter, walking Scutero. A rope by Sandavol should have been the death knell for Latos, but Dusty saw none of the nuances unfolding before him in the 13 agonizing minutes that elapsed before Posey strode to the plate. What was Dusty saving his bullpen for?Ã‚Â Again, he managed as if it was June, not October. In the sixth, Cain was faltering. After surrendering 2 runs an inning earlier, Ludwick homered, Bruce walked, Rolen singled and it looked like Bruce Bochy was about to make the very same mistake Baker had just made the inning before: leave his starter in too long. But not content to take the gift Bochy was about to give, a fateful decision was made to hit-and-run. Forget that the numbers said that Ryan Hanigan was more likely to strikeout vs. the fly ball pitching CainÃ¢â‚¬â€just the fact that Baker had sent the runners on the previous pitch–tipping off catcher Posey–made it a desperate and doomed call. The Reds never hit well after returning home from San Francisco. That has been a concern all season. People that blame Brook Jacoby forget that Dusty, a fine hitter in his day, has always been the architect of the philosophy called Swing Early and Swing Often. Having once announced Ã¢â‚¬Å“you donÃ¢â‚¬â„¢t walk your way out of a slump,Ã¢â‚¬Â I canÃ¢â‚¬â„¢t help but feel the message sent to young players like Fraizer and Heisey was clear: you want playing time, be prepared to be aggressive at the plate.Ã‚Â I remember Yankee announcers in May saying the Reds led the majors in first pitch swinging at 31%. I wondered if a young team could hit successfully over the course of a long season swinging impatiently. Especially in a ball park that almost goads hitters into swinging from the heels. Can young hitters ever learn patience? Can young pitchers continue to stay healthy? Will Chapman ever get a chance to start? Will youth ever win out over vets? Can the clubhouse remain happy if tenure trumps talent? A team only gets so many chances. From the time umpire Ken Burkhart robbed the Reds of victory in Game One of the 1970 World Series, to Game Seven when the Reds finally subdued the Red Sox, five long years had elapsed. Devastating injuries, Gene Tenace and the New York Mets pitching staff all conspired to keep the Big Red Machine from finding itÃ¢â‚¬â„¢s legacyÃ¢â‚¬â€and Carlton Fisk came within a whisker of making it six years wandering the desert for Cincinnati and its fans. How long do we wait on a manager who famously does things his way and knows no other? Dusty Baker is a good man. He may be the right manager for a big market team with veteran players with established habits and egos that need constant attention. Dusty Baker is also a tale of two managers:Ã‚Â the Clubhouse Manager who pays dividends inside the clubhouseÃ¢â‚¬â€and the Tactical Manager who exacts a penalty at a cost no one can seem to assess. The Reds need a manager who can maintain team camaraderie while leveraging the ever-growing investment of the owner and general manager. Why can’t the Cincinnati Reds have both? I see what you are saying about Dusty and you make some good points. Dusty favoring underperforming vets over hot rookies is indisputable, and drives all of us up the wall. However, I will simply remind you that the Game 3 managing mistake that you point out occurred in the 10th inning. Had the Reds managed to score a single run in the eight innings prior there wouldn’t have been a 10th inning, and games 4 and 5 don’t happen. The lineup Dusty put on the field for that game was more than capable of getting a run in 8 innings. Is it Dusty’s fault they didn’t? People accuse Dusty of managing like it was June during the playoffs. You could just as easily accuse the players of playing like it was June. Mix in one hit with RISP in game 3 and we’re talking about the NLCS right now instead of lamenting Dusty’s weaknesses. Yes, he’ll be back. Yes, we’ll all be pulling our hair out over ridiculous lineup decisions next year. And yes, the manager is always an easy target. But at some point someone has to stop looking at Dusty and figure out why the Reds suddenly become unable to hit the ball once September rolls around. I see what you are saying about Dusty and you make some good points. Dusty favoring underperforming vets over hot rookies is indisputable, and drives all of us up the wall.However, I will simply remind you that the Game 3 managing mistake that you point out occurred in the 10th inning. Had the Reds managed to score a single run in the eight innings prior there wouldnÃ¢â‚¬â„¢t have been a 10th inning, and games 4 and 5 donÃ¢â‚¬â„¢t happen. The lineup Dusty put on the field for that game was more than capable of getting a run in 8 innings. Is it DustyÃ¢â‚¬â„¢s fault they didnÃ¢â‚¬â„¢t? People accuse Dusty of managing like it was June during the playoffs. You could just as easily accuse the players of playing like it was June. Mix in one hit with RISP in game 3 and weÃ¢â‚¬â„¢re talking about the NLCS right now instead of lamenting DustyÃ¢â‚¬â„¢s weaknesses. Yes, heÃ¢â‚¬â„¢ll be back. Yes, weÃ¢â‚¬â„¢ll all be pulling our hair out over ridiculous lineup decisions next year. And yes, the manager is always an easy target. But at some point someone has to stop looking at Dusty and figure out why the Reds suddenly become unable to hit the ball once September rolls around. The key here is that they did not score a run in the “eight innings prior.” The only variable in question is the decision not to load the bases. Walking Arias was such an obvious thing. After the passed ball, Dusty should have held up four fingers or (at least) instructed Hanigan to pitch around. Also, if there would have been one hit with RISP in game three, we would be talking about the NLCS and hoping, with our fingers crossed, that the players play well enough to make Dusty largely irrelevant. However, I will simply remind you that the Game 3 managing mistake that you point out occurred in the 10th inning.Had the Reds managed to score a single run in the eight innings prior there wouldnÃ¢â‚¬â„¢t have been a 10th inning, and games 4 and 5 donÃ¢â‚¬â„¢t happen.The lineup Dusty put on the field for that game was more than capable of getting a run in 8 innings.Is it DustyÃ¢â‚¬â„¢s fault they didnÃ¢â‚¬â„¢t?People accuse Dusty of managing like it was June during the playoffs.You could just as easily accuse the players of playing like it was June. So, let me understand this: Just because the team NEVER should have been in that situation in the first place, we can’t hold Dusty accountable for making the wrong move ONCE WE WERE THERE? I would think that part of managing means coming up with scenarios to improve the team’s chances of winning…..Maybe the Reds wouldn’t have scored in the bottom of the 10th inning, but the Giants wouldn’t have had any pinch hitters/position players left for the 11th inning, and their closer would’ve been gone in the bottom of the 10th, too. I don’t see where Dusty gets a pass there, unless you think he made the right decision. If you think that, OK. But if you don’t, then maybe the better strategy might have bailed out that struggling offense. @RedZeppelin: YouÃ¢â‚¬â„¢re missing the point. The lineup DIDNÃ¢â‚¬â„¢T produce another run. And so, when Dusty got the 10th inning, the team needed him to manage accordingly. Manage as though your team hasnÃ¢â‚¬â„¢t scored but a single run and manage as though this is the playoffs and not June. You are clearly making his point and IÃ¢â‚¬â„¢m not sure you notice that. I see what you are saying about Dusty and you make some good points.Dusty favoring underperforming vets over hot rookies is indisputable, and drives all of us up the wall. Mix in one hit with RISP in game 3 and weÃ¢â‚¬â„¢re talking about the NLCS right now instead of lamenting DustyÃ¢â‚¬â„¢s weaknesses. Yes, heÃ¢â‚¬â„¢ll be back.Yes, weÃ¢â‚¬â„¢ll all be pulling our hair out over ridiculous lineup decisions next year.And yes, the manager is always an easy target.But at some point someone has to stop looking at Dusty and figure out why the Reds suddenly become unable to hit the ball once September rolls around. Dusty is Moses. He got us to the edge of the promise land. Now we need our Joshua to knock to Jericho’s walls. This article is so spot on. I’ve read so many posts on here with people saying Dusty deserves to be around he just “needs to do this” or “change the way he does that.” Giants fans, Cubs fans, and a certain group of Reds fans realize Dusty will NOT change. It’s not going to happen. He’s not going to change his approach. He’s not going to change who he plays. He’s not going to all of a sudden integrate the new school approach. Dusty Baker believes he is smarter than you and that his way is the way that works since it did 30-40 years ago. That’s the problem. This team is too good and will continue to win in spite of Dusty. But that can only take them so far, unfortunately. I am, also of the opinion to bring Dusty back. Mainly b/c I donÃ¢â‚¬â„¢t want to see the chemistry of this team messed with, yet. Although, I feel that, as a Reds fan abroad, you all in Cincy need to know that WE are the laughing stock of MLB. Everybody I know at work, I encounter at stores (in my Reds cap), even at stoplights (license plate frame), cannot but help to share their two centsÃ¢â‚¬â„¢ about our beloved Redlegs. And itÃ¢â‚¬â„¢s all pretty much universal, Ã¢â‚¬Å“Good team, awful manager.Ã¢â‚¬Â All anyone knows of Dusty Baker, outside of the Nati, is that he blew it in the playoffs, epic-fashion, w/ the GiantsÃ¢â‚¬Â¦w/ the CubsÃ¢â‚¬Â¦w/ the RedsÃ¢â‚¬Â¦and w/ the Reds. Again, I think he should come back, for at least one more year. But donÃ¢â‚¬â„¢t kid yourselvesÃ¢â‚¬Â¦NOBODY outside of Hamilton County believes that Dusty Baker will ever win a World Series. Maybe we can rally behind that. I donÃ¢â‚¬â„¢t know. But I do know that itÃ¢â‚¬â„¢s the overall accepted perception of this team. IÃ¢â‚¬â„¢ll add this: I just witnessed Jim Leyland pull Valverde for Phil Coke to close out and go 2-0 on the New York Yankees. How many out there could ever see Dusty making a move like that to aggressively go 2 up on a team in the playoffs? Be honest. @wildwestLV and there’s the point. Can ANYBODY point to one in game decision in the playoffs that you can say helped this team? Say what you want about the lack of hitting…a good manager helps that situation by picking up the slack and making decisions that will still give the team the best shot at winning the game. Dusty never has, so why will he in the future? Can ANYBODY point to one in game decision in the playoffs that you can say helped this team? After game one everyone was praising Dusty for his handling of the pitching in response to Cueto’s injury, and justifiably so. People seem to have really short and selective memories. A couple more points: As Steve has said, you judge a manager by the regular season. The playoff’s are basically luck. A stiff wind or borderline call at an opportune time would have changed the result of this series, and we’d all be celebrating. The argument that Dusty is good enough for the regular season, but not for the playoffs doesn’t make any sense. The regular season is the only place we have enough data to actually make any kind of a judgement, and even the lousiest managers have success in the postseason from time to time. The claim that Dusty didn’t manage with enough urgency is vague and arguably baseless. I would have left Latos in to pitch to Posey. The result would have been bad, as we saw, but at the time, that’s what I would have done. He had been lights-out the rest of the game (and series), and I thought he’d get it back together. Pitching changes are easy to call in hindsight, but at the time, leaving Latos in was justifiable, even if you disagreed with it. As much as I liked the 2012 Reds, I realize their 97 wins were an anomaly. There is a better chance of Drew Stubbs hitting .320 over 600 plate appearances with fewer than 100 strikeouts than the Reds going another season without a missed start by a starter. Also, most teams donÃ¢â‚¬â„¢t get one player to give the jolt that Ludwick and Frazier gave (especially in the absence of Votto) the Reds. With that being said, under the normal circumstances that are likely to be endured by any team, the Reds should have won as many as 10 fewer games. Simply put, they overachieved because of factors beyond the control of the manager. Now, did Dusty Ã¢â‚¬Å“keep the guys loose?Ã¢â‚¬Â . . . Sure. . . Did he do all of the things that a Ã¢â‚¬Å“playerÃ¢â‚¬â„¢s managerÃ¢â‚¬Â is supposed to do? . . . I am sure he did. . . Is he a great guy who is well-liked by his players? . . . Absolutely. . . Does this mean he should be back? . . . Perhaps not and here is my rationale. We know what Dusty is. He is a great Ã¢â‚¬Å“clubhouse managerÃ¢â‚¬Â who is also very suspect in strategy and tactics. He is a kind of anti-LaRussa. Normally, I would think this to be a good thing. However, when it comes to winning and losing, one cannot argue with the enormous disparity in the two managersÃ¢â‚¬â„¢ resumes. While LaRussa would bench Rolen in the playoffs because he thought doing so would give his team a better chance to win, Dusty cannot see past his own loyalties, hunches, and assumptions to do what is, in a given game/moment, objectively necessary for his team to have the best chance to win. To me, this means that DustyÃ¢â‚¬â„¢s unquantifiable Ã¢â‚¬Å“people skillsÃ¢â‚¬Â will surely win a game here or there. However, I also believe that his lack of mastery of strategy and tactics costs many more games than his Ã¢â‚¬Å“people skillsÃ¢â‚¬Â win over the course of 162 games (and, painfully, from games 163 onward). Moreover, a manager does need to be “liked” by the players in order to win (after all, that is what this is all about, isn’t it?). Rather, successful managers simply get every bit they can out of players. Some managers do this by getting the players to like them. Others motivate players for precisely the opposite reason: the players know if they do not perform as expected (hustle, professionalism, production, sound decisions, etc. ), they will ride the pine or be given a new zip code. Managers of this ilk do not have to be vindictive or hateful. They are simply professional and any decision that is made is made to help the team win. Now, I do believe that Dusty gets maximum effort partly because the players know he is on their side. However, it is just helpful to understand there is more than one way to successfully “manage” the clubhouse. We know that Jocketty has the final say on any roster decisions. However, I am not so foolish to think that the continued presence of Cairo and Valdez on the roster was not a consequence of DustyÃ¢â‚¬â„¢s advocacy (if it was not, then we need to reexamine the conventional wisdom regarding JockettyÃ¢â‚¬â„¢s keen eye for players) for these two giant holes on the bench. Dusty is, however, responsible for the lineup. I know he likes Drew Stubbs. Heck, I like Drew Stubbs. He seems like a swell guy and I hope he someday realizes success in the big leagues. However, it was plain wrong to continue to place him at the top of the lineup when it is obviously counterproductive. It is even more scary to consider that Dusty did not consider this to be counterproductive, as his Ã¢â‚¬Å“loyaltyÃ¢â‚¬Â to Stubbs (as well as his loyalty to the proposition that Stubbs could, given enough seasoning, actually effectively hit leadoff) outweighed the good sense that was obvious to everyone who muttered Ã¢â‚¬Å“&^%$#@* Stubbs!Ã¢â‚¬Â under his breath many, many times during the season. The same stupoyalty (or loyidity, whichever you prefer) was obvious upon VottoÃ¢â‚¬â„¢s return. The fact that Frazier was not the defacto starting third basemen after Rolen demonstrated for the better part of the year that he was, at best, a part-time player speaks further to the problem with Dusty. Perhaps a more effective management of the Stubbs/Rolen/Cairo/Valdez issues would have resulted in a net gain of three games. Well, guess what? Three games would have meant a different first round matchup. With the margins so razor thin (both in-game and over the course of a season), it is just senseless to continuing to operate at an inherent disadvantage because, of all reasons, the manager is a liability. Also, it is not like there isn’t a track record to examine here. He had a juiced-up Giants team on the cusp, but the ’02 game six debacle (remember, the distance between world champ and also-ran is razor thin) cost his team. It did not end well for Dusty in San Francisco. The same holds true with his tenure with the Cubs. A fat payroll and a stacked team did not result in long-term success there either and his legend as a mismanager grew exponentially. I fear the same will happen if too much time passes here. So, I’m hoping the Reds leadership heads this one off at the pass. So, what is Walt to do? I am harboring the hope that he is patronizing Baker with an offer that he knows will not be taken. Then, publicly at least, there can be an amicable parting of ways and the Reds and Dusty can both move on. Walt can hint at health concerns and the like and Dusty can move on to manage in Miami or Colorado or wherever. However much I hope for this “secret plan” to move on to another manager, it is not going to happen. I do not think that Jocketty has the gumption to send Dusty packing after a 97 win season. Moreover, he may not want to upset the players in this manner (though I believe this may be precisely the message to send). With all of this being said, I am hoping that Walt makes the roster Dusty-proof during the offseason. I truly hope that Bob and Walt realize that the window is never open for as long as they think it is and goes “all in” for next year. If they do not, I suspect that the team will win around 90 games and may even win the division. However, they will not prove good enough, all things considered, to be serious World Series contenders. 4) Sign Broxton and Madson and refuse to name a closer. . . The current cast of characters in the Ã¢â‚¬Ëœpen will be just fine without Chapman with one or two more arms. 5) Bench: Stubbs or Heisey as a fourth OF is just fine by me. XP as a LH bat off of the bench. Keppinger for utility sounds good as well. 6) I have always like Rolen. However, give him an awkward office party and a watch and send him on his way. Now, I suspect the Reds will not land Bourn (or Upton or another viable CF option). Signing Ludwick and sending Chapman to the rotation are surely possible, if not likely. I am not sure about the closer situation or how much Walt is willing to spend on the bench. However, short of all of these things, I believe that the 2013 version of the Reds are going to be far from Dusty-proof. Oh well, I suppose that means I will continue to be motivated enough to spout rambling posts on this blog a few times every year. Long-time lurker here. Put me one the side for keeping Dusty, even though he was driving me crazy in these playoffs. I’m on the outer reaches of Reds Country, but live just a couple of miles from the Tennessee Titans stadium. For years I railed against coach Jeff Fischer, as his teams made the playoffs year after year, but never could win the big one. He always got out-coached in the playoffs. But now, man, I miss those days, when every season mattered. Dusty Baker is above average. It’s probable that a replacement would be average, or maybe even terrible. And with just a little luck they can still win one, despite the bad decisions. Keep the chemistry, at least for another year. You could say that, in Game 1, Dusty DID make a decision that helped the team, putting in LeCure, when Cueto when down, immediately, and keeping him in there until Latos was ready. He didn’t have time to think it out, though. It was all too fast, and Latos was even raising his hand, possibly influencing his decision. Compare that to Game 5, Latos’ implosion, Dusty said it happened all to quickly, etc. Well, just compare the two situations. A good article with a very strong case. I still don’t agree that the game 3 non-walk was a terrible move. But that is the small picture, not the big picture. The first paragraph of my previous post is RedZepplin’s post. I am not sure why it is not indicated as quoted. @wildwestLV that was obvious…not even really a tactical decision. He had to bring someone in long enough to give Latos (or Arroyo, or Bailey) enough time to get through the normal warm up routine. I get the point though: you really have to stretch to come up with a “managerial decision” that was smart and ahead of the curve. BTW, Giants are discovering, tonight, that they’re really not that good. They’ve just been Dusty-ied. I’ll say Cards in 4. BTW, Giants are discovering, tonight, that theyÃ¢â‚¬â„¢re really not that good. TheyÃ¢â‚¬â„¢ve just been Dusty-ied. IÃ¢â‚¬â„¢ll say Cards in 4. I predicted Cards in 5. Bochy is too dumb to notice, apparently, the left handed starters are a bad idea vs the Cards. Lincecum apparently won’t be starting, but Zito will. Dumb. The Giants just don’t have a chance in this series in my opinion. Their chance to win the World Series evaporated with Drew Storen’s meltdown. There was a pretty funny article on the Giants blog site, not understanding how so many Cardinals play out of their minds in the majors when they aren’t that good in the minors. (1) Frazier had 72 at bats in September, Rolen had 44. Frazier hit .181/.241 in September, with 1 home run in 72 AB. He struck out 26 percent of his AB. Frazier was 1-for-6 in the postseason, with two strikeouts. In the game he did start, he was 0-for 3 with two strikeouts. Baker’s decision to play Rolen over Frazier in the postseason was pretty well justified. To make this one of the main points why Baker should be fired is fairly weak. BakerÃ¢â‚¬â„¢s decision to play Rolen over Frazier in the postseason was pretty well justified. Phillips had a miserable Sept as well. He was only, um, the Reds MVP in the postseason. It would seem rather silly to define anyone’s season by Sept. But, if we are to play that game, Rolen’s .205/.250 in Sept was hardly a compelling case. And as I said, Baker didn’t have to bench Rolen. He just had to play Todd. And he didn’t. I don’t recall Dusty’s rationale for benching Todd being anything other than Scott was old and this was his last chance. And that, frankly, is as weak as it gets. But he did play Frazier. Frazier had 72 ABs in September. That is not an insignficant number of ABs. Phillips had a miserable Sept as well.He was only, um, the Reds MVP in the postseason. It would seem rather silly to define anyoneÃ¢â‚¬â„¢s season by Sept.But, if we are to play that game, RolenÃ¢â‚¬â„¢s .205/.250 in Sept was hardly a compelling case.And as I said, Baker didnÃ¢â‚¬â„¢t have to bench Rolen.He just had to play Todd.And he didnÃ¢â‚¬â„¢t. I donÃ¢â‚¬â„¢t recall DustyÃ¢â‚¬â„¢s rationale for benching Todd being anything other than Scott was old and this was his last chance. First, Frazier outperformed Rolen in the postseason. Frazier had a couple good at bats that you are ignoring; a line shot out off of Romo (who’s murder on righties), and a bases loaded walk in the game where you ignored that and called him “0 for 3”. Second, I happen to agree that the September cases are such that Rolen performed poorly but better than Frazier. What you are missing, IMO, though, is that Rolen would have started in the postseason even if Frazier had way outperformed him. Hell, Frazier was originally sat down on Rolen’s return, even though Frazier was playing well. I can’t prove it, but I just know, knowing Baker, that Frazier would not have gotten a real shot. First, Frazier outperformed Rolen in the postseason.Frazier had a couple good at bats that you are ignoring; a line shot out off of Romo (whoÃ¢â‚¬â„¢s murder on righties), and a bases loaded walk in the game where you ignored that and called him Ã¢â‚¬Å“0 for 3Ã¢â‚¬Â³. Second, I happen to agree that the September cases are such that Rolen performed poorly but better than Frazier.What you are missing, IMO, though, is that Rolen would have started in the postseason even if Frazier had way outperformed him.Hell, Frazier was originally sat down on RolenÃ¢â‚¬â„¢s return, even though Frazier was playing well.I canÃ¢â‚¬â„¢t prove it, but I just know, knowing Baker, that Frazier would not have gotten a real shot. Rolen would have started in the postseaseon even if Frazier had way outperformed him? You don’t know that, and Frazier did NOT outperform him in September – which is an important point – Frazier fell behind in a competition fair and square. Knowing Baker Frazier wouldn’t have played even if he had outperformed Rolen? I don’t know Baker and I assume you don’t either. I know Dusty wasn’t fighting the rest of the Reds organization with that decision. I believe that the important (and controversial) decisions, including the rotation, batting order, and CF and 3b were settled in a meeting between Dusty, Bryan Price, Chris Speier, and Walt Jocketty with the outcome being a joint decision. I assume Jocketty and Castellini had a say in the matter, but both supported Rolen over Frazier. Very good points. I am not sold on Super Todd either. Take away that big homer to tie the game against Axford and it was a ridiculously bad September. Which makes him just another Hot/Cold Red. With the exception of Joey MVP, every product of the Reds system seems to have that problem. Is that something that can be corrected at this point? Not sure but I would at least try a new hitting coach or Manager if he is to blame. If Jay Bruce hits a home run in the ninth inning of Game Five, putting the Reds in the NLCS tonight, as one of the final four teams in baseball – How many of you still think Dusty Baker would deserve to essentially be fired? If Jay Bruce hits a home run in the ninth inning of Game Five, putting the Reds in the NLCS tonight, as one of the final four teams in baseball Ã¢â‚¬â€œ How many of you still think Dusty Baker would deserve to essentially be fired? Maybe you are underestimating some fans who have principles instead of basing decisions in single arbitrary results. I’m not saying Baker should not be back, but I’m saying that one could hold a legitimate view that Baker should have been fired whether they made the NLCS or not. Maybe someone thinks he’s the wrong guy for the job. Also, this whole thing is not without precedent; Baker’s contract ran out in SF after he lost the World Series, right? And he didn’t come back. @Steve Mancuso: Have all year. Have since the day they signed him. He has done nothing in his tenure to change my mind, and I certainly was open to it. That’s the way it goes when results are all that matters to management. Game 4 was when I finally had enough of Dusty. Some have an irrational dislike for Dusty which I’ll never understand, but I have moved from RLN third most prolific Dusty apologist into the a position where I can not longer support him. I don’t care about 97 wins in the regular season. I would rather they win 87 and be playing tonight in the NLCS. You’ve got to hold a pretty severe bias against a manager to say that if he guided his team to the second best record in baseball, won a postseason series, and led the team to the NLCS that he still should be FIRED. YouÃ¢â‚¬â„¢ve got to hold a pretty severe bias against a manager to say that if he guided his team to the second best record in baseball, won a postseason series, and led the team to the NLCS that he still should be FIRED. You use the term “guided” as if he pulled all the right strings to get those wins. I think for the majority of us, we see this season as something the guys accomplished in spite of his utter nonsensical tendencies. Dusty Baker is a baseball buffoon but he does get the players believing. Is team chemistry more important than lineups and pulling pitchers? I dont know but it has to mean something. Most people say that this team has extreme talent and Dusty is holding them back. What if the truth is that they really aren’t that good and Dusty is the only one capable of milking out those hot streaks? @Steve Mancuso: This is an unfair comment. Some might say it’s “malarkey”. 😀 People have used cogent arguments for his removal. You and others may not agree but they do hold some water as do the pro-Baker side. You’re not bias and neither are we. Not only not “severe bias” but none whatsoever. The Reds win 97 games, FAR surpassing anyone’s expectations for their record this season, and suddenly only Jocketty deserves credit. Obviously, both Baker and Jocketty deserve credit for the Reds having such an outstanding, surprising season. If the Reds win 77 games this year and miss the playoffs, itÃ¢â‚¬â„¢s BakerÃ¢â‚¬â„¢s fault and he should be fired. (IÃ¢â‚¬â„¢d be first in line to make that argument.) The Reds win 97 games, FAR surpassing anyoneÃ¢â‚¬â„¢s expectations for their record this season, and suddenly only Jocketty deserves credit. Obviously, both Baker and Jocketty deserve credit for the Reds having such an outstanding, surprising season. I think it’s important to deconstruct why the team won 97 games this year. Did Dusty win some games for the good guys due to him being a good guy himself? . . . Sure. Was there some adversity, largely due to Votto’s injury? . . . Absolutely. Did Dusty go crazy or was he a calming influence? . . . He was the latter. So, in many ways, Dusty was the perfect manager for this team. Also, I think he’s a great guy and, if I was a player, I would also want to have him as my manager. Who wouldn’t want unabashed loyalty regardless of performance? However, this was a rare, once in a great while, gusting wind at the good guys’ backs kind of regular season. The bullpen was stocked full of solid options and, when a solid option was no longer solid, there was help in the form of a promotion or trade. Ludwick and Frazier were unforeseen jolts from nowhere that carried the team in Votto’s absence. However, there were two astounding realities, one internal and one external, that led to the 97 wins. First off, the starting pitching was solid and healthy. Seasons in which not one starter misses a start simply do not happen. It happened this year. Of course, the bullpen was all the more effective because of the starting pitching. Second, they were 12-4 against the Cubs and 10-5 against the Astros. These two teams were historically horrid. The Astros are now gone. In short, this was not a 97 win team. This was a 91 (Pythagorean W-L) win team that won 97 games. They most assuredly overachieved. I would have to be presented with overwhelming evidence, however, to be convinced that Dusty’s positive impact on chemistry was responsible for more than just a few of these wins. Moreover, the impending regression to the norm causes me concern for ’13. Here’s hoping that Walt, if he sees fit to have Dusty back, makes the 2013 Reds Dusty-proof. In short, this was not a 97 win team. This was a 91 (Pythagorean W-L) win team that won 97 games. They most assuredly overachieved. I would have to be presented with overwhelming evidence, however, to be convinced that DustyÃ¢â‚¬â„¢s positive impact on chemistry was responsible for more than just a few of these wins. Usually, when teams underperform their Pythagorean number people blame the manager for losing close games or not taking advantage of his talent. That was the case with Baker in 2011. The fact they underperformed their expectations was a reason to fire him. Now, overperforming their expectations seems to be a reason to fire him. It’s not just the 97 wins, it’s that the Reds have won the division twice in three years. Again, that hasn’t happened since 75-76. Usually, when teams underperform their Pythagorean number people blame the manager for losing close games or not taking advantage of his talent. That was the case with Baker in 2011. The fact they underperformed their expectations was a reason to fire him. Now, overperforming their expectations seems to be a reason to fire him.ItÃ¢â‚¬â„¢s not just the 97 wins, itÃ¢â‚¬â„¢s that the Reds have won the division twice in three years. Again, that hasnÃ¢â‚¬â„¢t happened since 75-76. I’m not understanding the continued references to the “two division titles in three years.” Save for the strike, the ’94 Reds would have likely won the division to go along with the ’95 title. What about second place finishes? The Reds finished second in the NL West four years in a row during the 80’s in a two division league? . . . In reality, if I was convinced that having Dusty around is a net plus, I would be clicking my heels together at the prospect of him being the manager for the next three years. However, I have yet to be convinced (by recent evidence or by Dusty’s previous tenures) that he is anything but a great guy who is well-liked by his players who also happens to cost his team (due to strategic and tactical blunders) games in the long-run. Baker was much better with handling pitchers this season, including decisions about when to pull them. It has been widely reported that he has basically given completely autonomy over the pitchers to Bryan Price. I have no idea whether that is true or not, but I noticed a pretty big difference this year compared to last. Do I think he was too passive in games 4 and 5, absolutely. But that’s hardly cause to fire a manager. His history with Rob Nen, Kerry Wood and Aaron Harang couldn’t be more irrelevant. The first two of those might have been arguments never to hire him. But not fire him. Can anyone put together a claim about his mishandling the pitchers this season? The Reds made the postseason two times in the past three seasons. The last time that happened was 1975-1976. And you think the manager who accomplished it should now be fired? First, the playoffs are a crap shoot–a team has to get hot at the right time and at least a little lucky. So it doesn’t matter to me whether they made it to the DS or the WS. Second, I don’t think managers have that much impact on a team’s season anyway–I just hope for a manager that keeps players from imploding or killing each other and that makes few mind-boggling mistakes. Finally, in this particular case, Dusty didn’t have to make any really hard decisions this year. His toughest was to play Frazier in Votto’s absence, and that wasn’t much of a choice based on the other options. He had the same five starters the entire season, which is extremely lucky. He benefitted from great years from the starting rotation, and serviceable or above-average offense from the position players. @yoobee: I agree with you about the playoffs being a crapshoot. That’s why managers should be judged more on the regular season than the postseason. It’s hard to know how much of an impact managers have on a team outside of the in-game stuff. The best estimates I’ve seen are that at least 50 percent is behind the scenes. Managers talk to players all year about their performance, some actually coach hitting and fielding. They build a good chemistry across six months of daily competition. Part of dealing with Votto’s loss was not just playing Frazier, I agree that was a pretty obvious solution. But keeping the team on track despite adversity is a big part of coaching/managing in general. Is Dusty Baker any good at that element? I have no idea. Neither does anyone else here. That’s why the W-L record to me is decisive. How many times have we heard a general manager state “he thought us how to win but now we need someone to take us to the next level”. We are there. Dusty Baker has been involved in three of the most colossal post season meltdowns in the modern era. Bad luck? Bad luck is a direct correlation to bad decision making. Dusty is a very good 162 game manager but when it comes to pressure, he does not perform. As a player, he had issues in the clutch. He appeared in 18 World Series’ games. His batting average as a player was a healthy .232. He only had two extra base hits both of which were home runs. As a manager, centerfield has been one of Dusty’s albatrosses for many years. When he was in San Francisco, he was in love with Marvin Bernard. Remember him? He played him even when he was not producing because they were close. Then he moved to the Cubs. He was infatuated with Corey Patterson. He played him even when he was not producing. Fast forward to our Reds. Baker begins managing the Reds and who should appear but one Corey Patterson. At one point, he was batting a putrid .186 and here was Baker’s reply. “Really?” said Baker. “I did not know that. He hasn’t been striking out a lot so a long stretch of no hits is not as noticeable as when a guy piles up the strikeouts.” Mr. Jocketty sent him packing. Then Mr. Jocketty made one of the few moves that has not worked out. He signed Wily Taveras as a free agent. He was horrible. Baker stayed with though and it costs the Reds many victories. There was zero production at the leadoff spot as his OBP was .275. Dusty still played him in 102 games. Mr. Jocketty got rid of him. Then Drew Stubbs rolls into town. See the trend here…Baker loves speed but obviously does not value production. Stubbs has been horrid and has gotten worse throughout his short career. Is the Stubbs’ experiment over? Time will tell if Mr. Jocketty can pull a deal this winter for a “bridge centerfielder” meaning that he can man centerfield until Billy Hamilton arrives, Stubbs will probably ride the pine next season. However we do not know if Hamilton can hit big league pitching yet either. Another scenario is to move Bruce to center and put Heisey in right. That would solve the issue temporarily but still does not address the lead off problem. I believe that getting rid of Dusty is not the only thing that needs to be done. I firmly believe that Brook Jacoby needs to go. The Reds are still living and dying with the long ball. That is one of the things that happened in the LDS. They were waiting for the bomb out of the park. That park does not play small on cool nights in September and October. Has anyone ever noticed that the Reds get hot when the weather gets hot? That is not a coincidence. In April and May, they are average but if they got hot, it is always with the weather as that park really plays small. Production went down in September because of that fact. The same thing happened in 2010. Baker has taken us to one level. Now we need to dial it up a notch. He is not the man for that job. I am really going out on a limb here but I think that Mr. Jocketty needs to look in the minors. How about Charlie Montoyo from Durham who has won a division title every year but one since he was in Durham or Mike Sarbaugh from the Columbus Clippers. Both are known to be good player managers but they are excellent strategists and tacticians as well. There is a reason that Tampa Bay is always in the mix every year and it is because of tremendous Triple A management. The last time I heard someone make the “need a new guy to get us to the next level” was when the Cleveland Indians fired Mike Hargrove in 1999 after they had won 97 games (sound familiar) and had won their division for five straight seasons, including two trips to the World Series and another one to the ALCS. They hired Charlie Manuel. Cleveland hasn’t been back to the World Series since and have only made the postseason twice in the last 13 years. Manuel was fired midway through 2001. I’m not saying Mike Hargrove was a great manager, I have no idea. I just remember hearing that “next level” thing back then and thinking it was pretty stupid. The last time I heard someone make the Ã¢â‚¬Å“need a new guy to get us to the next levelÃ¢â‚¬Â was when the Cleveland Indians fired Mike Hargrove in 1999 after they had won 97 games (sound familiar) and had won their division for five straight seasons, including two trips to the World Series and another one to the ALCS. They hired Charlie Manuel. Cleveland hasnÃ¢â‚¬â„¢t been back to the World Series since and have only made the postseason twice in the last 13 years. Manuel was fired midway through 2001. IÃ¢â‚¬â„¢m not saying Mike Hargrove was a great manager, I have no idea. I just remember hearing that Ã¢â‚¬Å“next levelÃ¢â‚¬Â thing back then and thinking it was pretty stupid. It worked pretty well for the Tampa Bay Buccaneers. I’m not defending it, but there are positive examples. I agree with a lot of this, especially about the expected win-loss record. The Cardinals actually had a better Pythagorean W-L, and they could just as easily have won the division by three games (look at their lineup). The Reds won the division by 9 games is due to the combination of their overachieving and the Cardinals under-achieving. You can call it luck, management, or whatever, but the bottom line is I don’t think we should be counting on it to happen again next season. A lot of people here seem to think that putting Chapman in the rotation is a no-brainer and is the natural fit for him. I’m just curious what that is based on. He is a young lefty with blazing heat and (seemingly) mediocre movement. I would have two main concerns with putting him in the rotation: 1) he doesn’t seem to have a third pitch (he rarely needs to throw his slider and he hardly ever does, so it is difficult to say how good it is) and 2) I am concerned that he could seriously damage his arm if he has to pitch 180+ innings. Lefties that throw that hard don’t usually last long under a heavy workload without requiring some kind of surgery. An open question to those wanting Dusty to stay: Is it fair to say that if the Reds keep making the playoffs 2 out of 3 years and winning 90-plus games those years, but continue to lose in the first round, that Dusty stays as long as he wants? Certainly, there is no disputing that just making the playoffs after a grueling 162-game season is no small feat. (I just hope my hair grows back.) … But how many chances at the postseason “crapshoot” would you give Dusty, given his history of postseason distress elsewhere, not just here? An open question to those wanting Dusty to stay: Is it fair to say that if the Reds keep making the playoffs 2 out of 3 years and winning 90-plus games those years, but continue to lose in the first round, that Dusty stays as long as he wants? I think I’d be willing to say that if the Reds kept winning the division two out of every three years that I’d keep the manager, even if they continued to lose five-game series. I don’t think the manager plays much of a role over five games. Cueto and Votto’s injuries were far more important this year. Again, the Reds haven’t won 2 championships in 3 years for over 35 seasons. I’d take the championships and keep hoping that the postseason luck would change. An open question to those wanting Dusty to stay: Is it fair to say that if the Reds keep making the playoffs 2 out of 3 years and winning 90-plus games those years, but continue to lose in the first round, that Dusty stays as long as he wants? Certainly, there is no disputing that just making the playoffs after a grueling 162-game season is no small feat. (I just hope my hair grows back.) Ã¢â‚¬Â¦ But how many chances at the postseason Ã¢â‚¬Å“crapshootÃ¢â‚¬Â would you give Dusty, given his history of postseason distress elsewhere, not just here? Here’s my answer on this one. It is a matter of timing. The team with the group of players they have now is at the point where their known window of opportunity is 2-3 years. Most notably to me, the starting rotation is under team control for 2 or 3 more years each. The period of control on Chapman is roughly the same. BP may be at his peak or even starting to decline. Votto will be peaking in the same period. Bruce is what he is, very good but streaky etc. Stubbs is likely a washout; and, we don’t really know about Frazier or Cozart long term. There appears to be no pitching in the minors that is of the sure thing category; and, it is all several years away if ever. So with a known window of opportunity of 2-3 years, I don’t feel it makes sense to regroup, i.e. most likely throw one of those years away, by changing managers now. It is more likely that if they tweak the personnel, Baker will get them further in the playoffs over the next three years than it is that they will advance as far with a change in manager along with the tweaking which will be needed regardless. As someone else noted, Francona may have been the one guy who would have been an exception to this thinking. 1. Dusty is the most successful Reds manager since Sparky. 2. Starting Leake in game 4 was the right decission. 3. There is no way to know walking Aries woyld have been a better choice. 4. Frazier was wearing down there is no way to know he would have performed better or what that would have done to team chemistry. 5.,Reds don’t have budget room for Bourne. 6. No way to know new manager would do any better. 7. No way to know if Chapman is starter material. @Richard Fitch: Maybe the one sentence from Baker about Rolen and Frazier that was reported in the news doesn’t fully capture all of his reasoning for why he played one over the other. Maybe he didn’t want to say “because Todd has been really shaky as the season has gone on, I think he’s wearing down, I think he might not perform as well in the playoffs, he’s been pretty lucky with that swing this year so far. Assuming that one sentence was all there was to Baker’s decision is likely wrong. Whatever his reasoning really was, Frazier was 1-for-6 in the postseason. In the game he DID start, he was 0-for-3 with two strikeouts. Maybe if Frazier had hit better in the first four games, Baker would have started him in Game Five. @Richard Fitch: Maybe the one sentence from Baker about Rolen and Frazier that was reported in the news doesnÃ¢â‚¬â„¢t fully capture all of his reasoning for why he played one over the other. Maybe he didnÃ¢â‚¬â„¢t want to say Ã¢â‚¬Å“because Todd has been really shaky as the season has gone on, I think heÃ¢â‚¬â„¢s wearing down, I think he might not perform as well in the playoffs, heÃ¢â‚¬â„¢s been pretty lucky with that swing this year so far. Assuming that one sentence was all there was to BakerÃ¢â‚¬â„¢s decision is likely wrong. All year long many fans were hoping for Dusty to come out with some rude and insulting remark about how he was finished with Scott Rolen or that Scott Rolen’s career was over and he’d become worthless. Similarly, he danced around or avoided addressing or criticizing Todd Frazier and his season ending slump. As a result Frazier enters 2013 as the young guy ready to take over the departed veteran (Rolen) rather than the bum who let the team down by failing to hit in September or October. You’ll notice that Dusty rarely, if ever, criticizes his players when addressing the media and they return the favor. Part of Dusty’s job is managing the personalities in the clubhouse and using a player’s values (great defense, playoff experience) as justification for a decision is a better idea than citing another player’s flaws (this guy can’t field or hit). Frazier didn’t start most of the NLDS games, fine, but he should appreciate that they treated him respectfully when addressing the matter rather than advertising concerns about him. @Hank Aarons Teammate: Agree with you on the game 3 no IBB of Arias being blown out of proportion. Sanchez has a .280 BA, .295 OBP, and just under 700 OPS. He wasn’t a slam dunk out; and a hit by him likely would hace scored (at least) two runs. Another thing is that everyone assumes Bochy would have pulled Romo. I’ve seen managers in similar situations send their closer to the plate in such situation because they had more confidence in him to set down the opposition in the bottom of the inning than in the prospective PH to get the run in. Yes it is a little picture that it is just part of the bigger picture but the judgement of folks who think is a big deal on its own is in my mind open to question on other things because of how they analyze this one. @Hank Aarons Teammate: Agree with you on the game 3 no IBBof Arias being blown out of proportion. Sanchez has a .280 BA, .295 OBP, and just under 700 OPS. He wasnÃ¢â‚¬â„¢t a slam dunk out; and a hit by him likely would hace scored (at least) two runs. Another thing is that everyone assumes Bochy would have pulled Romo. IÃ¢â‚¬â„¢ve seen managers in similar situations send their closer to the plate in such situation because they had more confidence in him to set down the opposition in the bottom of the inning than in the prospective PH to get the run in. Jim, I think I analyzed this AB just fine. Let me explain. Your complaint that I am ASSUMING Bochy would have lifted Romo has no merit. (1) Bochy said in his post-game remarks that he would have indeed gone to Sanchez. (2) Doesn’t really matter because if he had left Romo in to bat, it’s an almost certainty that the Reds would have gotten out of the inning. Romo, in fact, did bat after Arais reached and looked pretty bad at the plate, unsurprisingly. (3) Sanchez’s .295 OBP tells me he doesn’t walk much, which in that situation would have been a huge plus for Broxton. 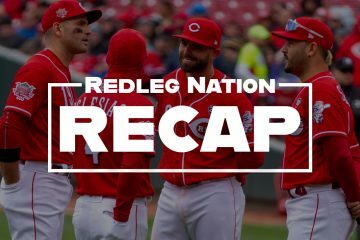 I’m certainly not saying the Reds would have won Game 3 had Dusty walked Arais, but it could have turned the game to the Reds advantage in several ways, with the only downside being that maybe a cold, off the bench backup catcher rises to the occasion and gets a hit. It was really a slam dunk decision if you ask most baseball people. And yet Davey Johnson did not do it either when faced with a nearly identical scenarior a day or two later. Jim, I think I analyzed this AB just fine.Let me explain.Your complaint that I am ASSUMING Bochy would have lifted Romo has no merit. (1)Bochy said in his post-game remarks that he would have indeed gone to Sanchez. (2)DoesnÃ¢â‚¬â„¢t really matter because if he had left Romo in to bat, itÃ¢â‚¬â„¢s an almost certainty that the Reds would have gotten out of the inning.Romo, in fact, did bat after Arais reached and looked pretty bad at the plate, unsurprisingly. (3) SanchezÃ¢â‚¬â„¢s .295 OBP tells me he doesnÃ¢â‚¬â„¢t walk much, which in that situation would have been a huge plus for Broxton. IÃ¢â‚¬â„¢m certainly not saying the Reds would have won Game 3 had Dusty walked Arais, but it could have turned the game to the Reds advantage in several ways, with the only downside being that maybe a cold, off the bench backup catcher rises to the occasion and gets a hit. Arias hits .240 vs righties. I’m assuming Sanchez’ OBP is at least .295 vs righties. If so, that’s a 5% increased chance that the Giants score a run in the 10th. Please at least acknowledge that walking Arias would strictly increase the Giants’ chance of scoring in the 10th. Again, I’d have walked him, but I really think the record should be set straight that it was not a slam dunk decision. Again, IÃ¢â‚¬â„¢d have walked him, but I really think the record should be set straight that it was not a slam dunk decision. As far as the stats you cite, Sanchez had 100 fewer PAs. And for all that, he’s only 10 points better by average. You ignore that fact that he has to come off the bench cold to bat. That he’s unlikely to walk. Having said what I said above, I was really disappointed in how the approached game 4. I was for the bullpen day approach because I figured they were more likely to beat Zito and the Giants pen thab Cain and the Giants pen. However, I figure it almost certainly an organizational decision. @OhioJim: Granted, it appears a foregone conclusion that Dusty IS coming back, and probably with, what, a 2 or 3 year extension? He wouldn’t take a 1 year deal, I wouldn’t think. So, based on your timeline of the Reds’ window of opportunity, the Reds could be putting all of their hopes on Dusty until it comes time to rebuild. Hope it works! That article is a lot of nonsense. A lot of the decisions made with the support of Jocketty and the coaches are being blamed entirely on Dusty. It seems like the only solution is to chop off the head of the organization – Jocketty, Dusty, Price, Speier, and Castellini, and replace them with something perfect. Bobby Valentine made a big mess in Boston this year by calling his players lazy and stuff. He made a few remarks to offend players, while Dusty always does a good job of acting as a lightening rod for criticism. Everything is Dusty’s fault, Frazier’s slump isn’t worth mentioning and we should focus on the positive (Rolen being more experienced). He works hard to avoid criticizing the players – I think that’s good, but many fans disagree. Many fans were hoping for a rude or critical remark from Dusty that Rolen was worthless and Frazier great… but it never came. As a result both Rolen and Frazier were treated respectfully. Scott Rolen, not Todd Frazier, started most of the playoff games, but Frazier hit badly after Votto returned – ~.182 in September, I believe. Who should start at third in the playoffs was a controversy but I think it was adequately settled by October by Frazier’s poor numbers. Dusty didn’t say “I’m benching Todd Frazier because he can’t hit anymore” and used a politer explanation (that he wanted to give the veteran Rolen another shot) – fine. Jocketty acquired Rolen because he values defense and didn’t question the move. Alex Rodriguez got sent to the bench temporarily in the playoffs, so did Scott Rolen. Unfortunately Frazier didn’t hit well in his start. Stubbs, if Walt Jocketty had a big problem with Stubbs he could have traded for a replacement – Perhaps Shane Victorino. It’s silly to argue that it’s Dusty’s fault that there isn’t a better CF. Jay Bruce to CF, if Walt Jocketty or Wayne Krivsky ever wanted to do that they could have acquired another RF… but they didn’t. He could have traded away Drew Stubbs or Chris Heisey, but he kept them to play CF. Chapman, how to use him as been a group decision supported by Jocketty, Castellini, and Price. Surely some people somewhere in the organization and some fans disagree but it’s not some silly decision made entirely by Dusty Baker. I feel bad for whoever has a final decision on the use of Chapman – it’s a no-win scenario. Pitch counts, why do Reds pitchers have unusually high pitch counts? Same reason why several pitched 200+ innings and why the Reds had so little use for long relievers – they pitched well and pitched deep into games. Starters getting knocked out early with low pitch counts isn’t necessarily good. Bryan Price seems to have a say in how pitchers are handled, and he’s frequently sent out to talk to them during innings. He has called for relievers on rare occasions, when necessary. Game 4, Mike Leake, the Reds made it clear that Dusty, Price, Speier, and Jocketty all decided to start Mike Leake. They’re all to blame, not just Dusty for writing out the lineup. Game 5, with one pitch the Reds went from 2 runs behind to 6 runs behind with Walt Jocketty’s big trade acquisition and co-ace on the mound. Was anyone expecting a grand slam? Was Mat Latos acquired to be replaced early in a big game? Pulling Mat Latos after giving up 1 earned run, I don’t think that’s what Jocketty had in mind when he traded for Latos. I think you’re looking for somebody to blame and you’ve identified Dusty as the reason for everything that went wrong, holding him 100% responsible for group decisions made by the Reds organization. Why can’t the Reds have a perfect manager? None exist, there’s no such thing as a perfect manager – even guys like Tony LaRussa and Sparky Anderson get fired. This organization is what it is and replacing Dusty Baker isn’t a solution. The only solution I see is to replace certain players like Stubbs and Leake with superstars. The reality is there is no available manager who’d be reliably better than Dusty. @redsfanman: You are back with your typical trolling response. I wish I could say I am surprised. @redsfanman: You are back with your typical trolling response.I wish I could say I am surprised. Typical trolling response? For clarifying that Dusty is being blamed for group decisions and that being respectful or polite (rather than rude and insulting) to his players is being portrayed as a great flaw? One of the craziest arguments I read is to replace Dusty with somebody with experience working with young players, particularly David Bell or Rick Sweet. Kind of like when they hired Dave Miley. That might be the right direction for a last place organization building from the ground up (like the Houston Astros) but the 97 win Reds are in very different circumstances. Some people sometimes mention “Dusty Proofing” the lineup. Since Dusty came to the Reds the front office has been unable to provide him with a capable leadoff hitter, and I’ve always been surprised to see it held against him. What’s he supposed to do about it? Brandon Phillips led off some in 2010 with a .302 OBP and he was down to .254 in that role in 2012 – I’m disappointed to see Phillips put in a position where he’s so terrible, but many fans consider anything else to be worse. If the Reds finally, for the first time ever, give Dusty Baker a leadoff hitter I think his lineups will improve significantly, but he doesn’t make trades or sign free agents. @RedZeppelin: You’re missing the point. The lineup DIDN’T produce another run. And so, when Dusty got the 10th inning, the team needed him to manage accordingly. Manage as though your team hasn’t scored but a single run and manage as though this is the playoffs and not June. You are clearly making his point and I’m not sure you notice that. I don’t believe it’s a mistake to bring Baker back. But, I don’t believe it will help the organization and the club from improving their finish by bringing him back. I believe there is simply something in Baker’s demeanor where he doesn’t encourage or push the players to be any better, step it up, unless when they need to like with Votto out. Some of his irrational lineups like going with Stubbs so long high up in the batting order are simply going to continue (maybe not necessarily Stubbs, but definitely the irrational decisions). If the team gets better, wants to finish higher, it’s going to be because of what players the club brings in. Baker has no reputation of developing anyone. He’s nothing more than a serviceable person in the manager position. Just like a utility fielder, like what Cairo was to us the 2 seasons previous to this one. Everyone wants one, a super-sub, but that player actually being a key and vital piece to the overall success of the team? Probably not. Just like how super-subs rarely crack the starting lineup, I’m confident Baker will never crack the ceiling and win a WS. If he was to, just like a utility fielder, he will simply be along for the ride. The title won’t be because of anything he did or meant to the overall success to the team. Dusty’s first year with the Reds was 2008. Here are a few of the Reds players who had their rookie seaons during his tenure: Joey Votto, Jay Bruce, Johnny Cueto, Homer Bailey, Ryan Hanigan, Todd Frazier. I’m not saying Dusty is good at developing players, but based on his tenure with the Reds I am not sure how you can say he is a failure. This seems to be a key sympton of Dusty Derangement Syndrome: Dusty gets credit for everything that goes poorly while everything that goes well happens in spite of Dusty. The true answer is somewhere in between and not accessible to us fans. If the team gets better, wants to finish higher, itÃ¢â‚¬â„¢s going to be because of what players the club brings in.Baker has no reputation of developing anyone. @BenL: One more quick observation: The argument that Dusty didn’t manage with urgency reminds me of the “arguments” folks used to make about Adam Dunn: He doesn’t play with intensity, he doesn’t care, blah blah blah. These are things we can never know. I find it really hard to believe that Dusty was throwing away game 4, as some have claimed. I was at the game, and I didn’t see any evidence of it either. The only unjustifiable move was pinch hitting Cairo, but no one can argue that made the difference in the game. @BenL: One more quick observation: The argument that Dusty didnÃ¢â‚¬â„¢t manage with urgency reminds me of the Ã¢â‚¬Å“argumentsÃ¢â‚¬Â folks used to make about Adam Dunn: He doesnÃ¢â‚¬â„¢t play with intensity, he doesnÃ¢â‚¬â„¢t care, blah blah blah. These are things we can never know. I find it really hard to believe that Dusty was throwing away game 4, as some have claimed. I was at the game, and I didnÃ¢â‚¬â„¢t see any evidence of it either. The only unjustifiable move was pinch hitting Cairo, but no one can argue that made the difference in the game. I agree that those Dunn criticisms were ridiculous. But, it’s not the same as the Dusty criticisms. Nobody is saying that Dusty didn’t really really want to win. His lack of urgency is more objective and quantifiable. He managed to preserve his bullpen for the next day and left a couple of starters in too long. He didn’t put his best hitters out there when the opportunities arrose. That’s what people mean by a lack of urgency. I will agree, the post season is more about luck, but definitely not just that. Just like in the regular season, good teams go out and take it, finish it. They don’t wait around for the other team to fold. 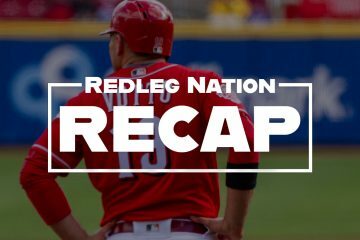 Everyone was pretty much in agreement the Reds when they came back played lethargic. Not until Posey’s slam did the guys wake up and said, “Hey, we could actually lose this series.” That’s something like the attitude they should have had all along. An attitude, if I may be so bold, that “We are going to kick your a** every inning, every pitch. And, there’s nothing you can do about it.” Not something like BP’s freewheeling attitude. All games can be luck in one sense or another. But, to say post season would just be able luck would definitely be wrong. The manager needs to prep the team properly for it, get the team in the right frame of mind, etc. And, Baker’s lack of success (losing record, no WS titles, only 1 WS appearance) shows he doesn’t know how to do that. Baker has no rep of developing any player, any team. The Giants never broke through until after he left. The Cubs got worse each year with him. I am confident that the winning we have right now is from the work WJ and the previous GM’s have done, bringing in guys like Bruce, Stubbs, Ludwick, Votto, Frazier, BP, Cozart, Rolen, etc. @steveschoen: I would never argue that managerial skill doesn’t play a role. I’m only arguing that the claim that management is so important in the postseason compared to the regular season is not well grounded. I believe that Dusty will be back. Based upon his team’s performance in 2012, he deserves to be back. However, I do believe that having him as manager costs his teams a handful of games every year. Is the number unquantifiable? . . . Sure. However, his track record is long and the results bear out an unfortunate truth. There are certain things he as good at and other things he is not good at. Unfortunately, the things he is not good at are the kinds of things that have helped to cost his team games. Dusty is a modern-day Gene Mauch. He’s a great guy who always seems to be around. However, he is essentially a .500 manager, even with steroid-addled players early in his career. I think that Dusty would have left Donnie Moore out there to rot in the ALCS, just like Mauch did. There is some good news, however. I suspect (though I have no way of knowing) that Walt will rely less and less on Dusty’s imput when making personnel decisions. Ondrusek being sent down sent me for a loop. I simply could not see Dusty advocating for this. The same goes for the demotion of Willie Harris and the insertion of XP onto the bench. I am hopeful that, indeed, the roster will be made Dusty-proof for 2013. And, all those players were brought in by the GM’s. It’s what happens to the players once they get to the big club. Shoot, Baker wouldn’t even have played Frazier if Rolen wasn’t hurt, like in the DS. Hanigan is still a part time catcher essentially. Bruce still hasn’t broken out in many people’s eyes. Bailey just saw success this year. The only one is Votto. And, who did Baker put in front of Votto for most of the year to drive in? Two of the worst hitters on the team. The only players you can say who has improved much since 2010 was BP, Ludwick, and Cueto. And, with Ludwick, many have said it’s because of the park he plays his home games in, how it isn’t like the Padres park. With Cueto, many have said Baker essentially gives autonomy to Price with the pitchers. The only one you could say has gotten better under Baker is BP. Baker thought Gomes was a player who had a bat that could carry a team. He thought Latos was dealing in game 5. His ever-lengthening leash to Stubbs. It’s his decisions with the players he has that are highly questionable. Like with Harris, why bat a left handed pinch hitter with a right handed pitcher on the mound when all the other bats hit right handed pitchers better than the left handed batter? Interested in winning the game, you put in who’s going to give you the best chance to win the game. Put in someone who you “need to get going”, you’re not as interested in winning that game as in helping that player. Ahh, so the GMs get credit for player development when then development is positive, but the manager gets the blame when the player does not develop? I get it. And, all those players were brought in by the GMÃ¢â‚¬â„¢s.ItÃ¢â‚¬â„¢s what happens to the players once they get to the big club.Shoot, Baker wouldnÃ¢â‚¬â„¢t even have played Frazier if Rolen wasnÃ¢â‚¬â„¢t hurt, like in the DS.Hanigan is still a part time catcher essentially.Bruce still hasnÃ¢â‚¬â„¢t broken out in many peopleÃ¢â‚¬â„¢s eyes.Bailey just saw success this year.The only one is Votto.And, who did Baker put in front of Votto for most of the year to drive in?Two of the worst hitters on the team.The only players you can say who has improved much since 2010 was BP, Ludwick, and Cueto.And, with Ludwick, many have said itÃ¢â‚¬â„¢s because of the park he plays his home games in, how it isnÃ¢â‚¬â„¢t like the Padres park.With Cueto, many have said Baker essentially gives autonomy to Price with the pitchers.The only one you could say has gotten better under Baker is BP. Baker thought Gomes was a player who had a bat that could carry a team.He thought Latos was dealing in game 5.His ever-lengthening leash to Stubbs.ItÃ¢â‚¬â„¢s his decisions with the players he has that are highly questionable.Like with Harris, why bat a left handed pinch hitter with a right handed pitcher on the mound when all the other bats hit right handed pitchers better than the left handed batter?Interested in winning the game, you put in whoÃ¢â‚¬â„¢s going to give you the best chance to win the game.Put in someone who you Ã¢â‚¬Å“need to get goingÃ¢â‚¬Â, youÃ¢â‚¬â„¢re not as interested in winning that game as in helping that player. Regardless of what happens to Dusty, I think the #1 priority needs to be to keep Bryan Price. If that means keeping Dusty, so be it. if that means moving on from Dusty, even better. Under no circumstance should Brook Jacoby be back in a Reds’ uniform! Fisher’s situation sucked (for Fisher), but there was no other option that day. Some dudes are cannon fodder. Here’s the problem – back in that game, don’t forget that the Reds had a long man. His name was Josh Fogg. Baker burned him for a total of ONE inning – thus the need for Harang to step up, because Baker screwed the pooch by mis-managing the bullpen & having no one else who could go long. So yeah, I blame him for having to use Harang in the first place, and he’s absolutely on the hook for running Harang back out there for the next start, when he should have been skipped. It’s pretty clear that damaged Aaron for at least that season. Dusty will be back. The only question now is will Dusty’s apologists here and in the Cincinnati media still be making excuses for him a few years from now when the talent window has closed and the Reds still haven’t won a post season series. As far as Frazier vs. Rolen. I know without a shadow of a doubt who I want in clutch situations, and his name is not Scott. Rolen’s stats in September were not a whole lot better than Todd’s. You can look it up. Frazier has thrilled us all year with big hits, SF, walks, etc. when the going got tough. Honestly, Rolen not so much. We have to be honest here. Who here would have preferred Frazier having the last AB, of the series, than Rolen? I’m a yea. Tigers and Valverde! Leyland has said he won’t use him again in a save situation but what would Dusty say: He’s my guy/Closer. Think Cordero. Yankees: benching A-rod. It was the right call by Girardi. I doubt Dusty makes the same move. It’s time for a new Reds Manager. Tigers and Valverde!Leyland has said he wonÃ¢â‚¬â„¢t use him again in a save situation but what would Dusty say:HeÃ¢â‚¬â„¢s my guy/Closer.Think Cordero. Yankees:benching A-rod.It was the right call by Girardi.I doubt Dusty makes the same move. ItÃ¢â‚¬â„¢s time for a new Reds Manager. When Ryan Madson got hurt in the spring fans were criticizing Dusty for not naming a closer the moment he learned Madson would be out – after all everybody needed to know who would close before predicting how many games below .500 the team would finish. Dusty started the spring with a bit of a closer by committee approach and it took a while before Marshall was named to the role. Before long Dusty switched from Marshall to Chapman, which angered some people who didn’t want Chapman reserved for the 9th inning. When Chapman struggled later in the year he was benched and replaced by Broxton. Did Dusty name a closer and stick through him through thick and thin? He did with Francisco Cordero but he arguably went through three or 4 closers (Madson, Marshall, Chapman, Broxton) in 2012. Francisco Cordero is gone. Yankees benched A-Rod for a playoff game. Dusty benched Scott Rolen for a playoff game to get Todd Frazier in. Both Dusty and Joe Girardi made the same decision. When Ryan Madson got hurt in the spring fans were criticizing Dusty for not naming a closer the moment he learned Madson would be out Ã¢â‚¬â€œ after all everybody needed to know who would close before predicting how many games below .500 the team would finish.Dusty started the spring with a bit of a closer by committee approach and it took a while before Marshall was named to the role.Before long Dusty switched from Marshall to Chapman, which angered some people who didnÃ¢â‚¬â„¢t want Chapman reserved for the 9th inning.When Chapman struggled later in the year he was benched and replaced by Broxton.Did Dusty name a closer and stick through him through thick and thin?He did with Francisco Cordero but he arguably went through three or 4 closers (Madson, Marshall, Chapman, Broxton) in 2012.Francisco Cordero is gone. Yankees benched A-Rod for a playoff game.Dusty benched Scott Rolen for a playoff game to get Todd Frazier in.Both Dusty and Joe Girardi made the same decision. Ha, hah, hah. Accuracy? Marshall was the initial closer. Once they switched, for the rest of the year, Chapman was the closer. Period. He did not close for 2 weeks…when he was HURT. He was never “benched”. It’s all pretty simple, really. honestly ask yourself: talent wise, do you view the Reds as the second best team in ALL of MLB? No? Well, their record says they are. Guess they just got “lucky”, huh? Or maybe they got a pretty decent manager down there. Dusty deserves to come back. He will finally win his championship here. This. Someone on another thread suggested the Reds should have won 107 games this year but for Dusty Baker!! I imagine that same person thinks we would have won over 115 with a healthy Votto and different manager. ItÃ¢â‚¬â„¢s all pretty simple, really. No? Well, their record says they are. Guess they just got Ã¢â‚¬Å“luckyÃ¢â‚¬Â, huh? ItÃ¢â‚¬â„¢s all pretty simple, really.honestly ask yourself: talent wise, do you view the Reds as the second best team in ALL of MLB?No? Well, their record says they are. Guess they just got Ã¢â‚¬Å“luckyÃ¢â‚¬Â, huh?Or maybe they got a pretty decent manager down there.Dusty deserves to come back. He will finally win his championship here. No other division has teams like the Cubs and Astros in the same division. Also, no other division lost players like Albert and Cecil like the Central division did. In that respect, the Reds did what they were suppose to do. Hah, what a joke. He “will”? Approximately, they have a 1 in 8 chance of winning the World Series if they make the playoffs. How many more seasons do you think Baker is going to manage. Most likely, they will NOT win a championship under Baker. It’s just odds. Hah, what a joke.He Ã¢â‚¬Å“willÃ¢â‚¬Â? Approximately, they have a 1 in 8 chance of winning the World Series if they make the playoffs.How many more seasons do you think Baker is going to manage. Most likely, they will NOT win a championship under Baker.ItÃ¢â‚¬â„¢s just odds. How dare a Reds fan express optimism – that’s not an outlook acceptable for a real Reds fan. How many more seasons will Dusty manage the Reds? Probably two years, that’s how long his contract is, and the Reds are likely to be the favorite in the NL Central for both of those two seasons. Odds are the Reds won’t win the World Series? Tell that to optimistic fans of teams like the Nationals, Phillies, Braves, Giants, Dodgers, Cardinals, Pirates, and Brewers, teams whose fans wonder if their teams will even reach the playoffs next season. The Reds under Dusty Baker have at least as good an opportunity to win a championship as any of the other teams. @RiverCity Redleg: I see the distinction you are drawing, and it’s definitely not a perfect analogy, but sometimes not making a move is the best way to win. Not pulling Latos turned out to be a mistake, but one could certainly imagine a world where it worked out, or where LeCure or Chapman came in and game up a slam. I am feel confident Dusty was making the moves he thought gave them the best chance of winning one of the next two games. We can argue about whether they were right or wrong (and certainly results support the argument that they were wrong), but I didn’t see a lack of urgency. It’s official. Dusty’s contract extended through 2014. This is to be expected. He is a great guy and I am sure the players are pleased (as they should be). However, I sincerely hope that Walt does what he needs to do (CF/leadoff/Chapman to rotation/bench) to mitigate the fact that Dusty will be pulling the levers over the next couple of years. (I’ll figure out how to quote a post at some point.) This is to be expected. He is a great guy and I am sure the players are pleased (as they should be). However, I sincerely hope that Walt does what he needs to do (CF/leadoff/Chapman to rotation/bench) to mitigate the fact that Dusty will be pulling the levers over the next couple of years. ItÃ¢â‚¬â„¢s official.DustyÃ¢â‚¬â„¢s contract extended through 2014. Not saying the Reds would have won, but if I was managing, Arrendondo would have gotten the hook after his first two batter in game 4. I have twittergraphic evidence. Why didn’t Dusty make that move? I’m sure each of you were saying the same thing. btw – I promptly said something not very nice to Dusty when the game came off the rails about 3 batters later.